Discover dragon legends, magic, quests, and a secret land of entertainment and mystery in the world of Merge Dragons! where you can combine everything into better and more powerful items for your journey. In a mystical world hidden among the clouds, the vale of Dragonia flourished. Then evil Zomblins cast a void across the vale. 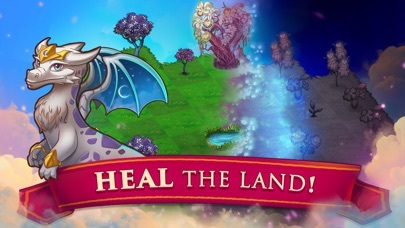 The only hope to heal the land rests in YOUR magical power to MATCH ANYTHING -- dragon eggs, trees, treasures, stars, magical flowers, and even mythical creatures. Match eggs to hatch helpful dragons, then evolve them to discover more powerful dragons! Encounter and solve challenging puzzle levels: match the Gaia statues to win, then bring rewards back to your Camp to collect and grow. Match even more with daily quests and rewards with Kala. Take part in brand new themes every two weeks with a cool puzzle for you to complete- can you match and collect the brand new dragons, too? 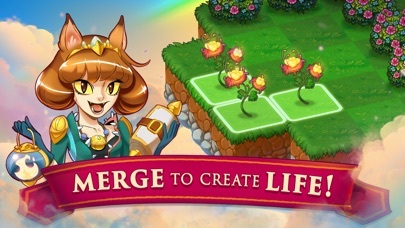 Discover as you match your camp to perfection and nurture your dragons in Merge Dragons! MERGE DRAGONS! FEATURES: == Match Objects == • Discover over 500 fantastic objects to match and interact with through 81 challenges! • Freely drag objects around the beautiful world and match 3 of a kind evolve them into more superior items! • Match Life Essence and tap it to unleash power to heal the vale! • Discover the Gaia statues stuck in each level’s cursed land. Match them to solve the puzzle and create life! 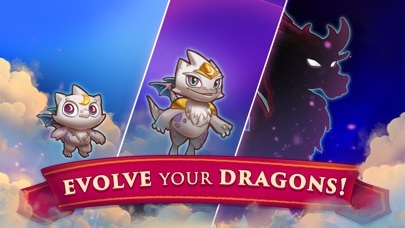 == Collect New Dragon Breeds == • Discover 37 brand new dragon breeds who live in the vale, and evolve them through 8 growth stages for new dragons! 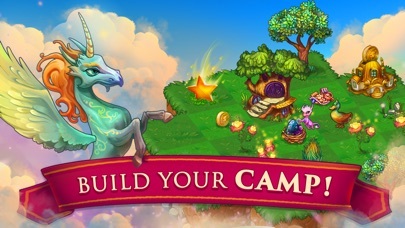 • Match eggs to hatch helpful dragons who will roam the vale and harvest objects for you to use or match. == Tricky Puzzles == • Almost 900 quests to challenge your mind! • Test your puzzle solving skills in more than 180 tricky levels filled with new quests and rewards to help you build your dragon camp! • Match nearly anything - plants, buildings, coins, treasures, fallen stars, magic objects, mythical creatures, and more! How many combinations can you make from 1600+ objects that come before you? • Discover hidden levels - can you find them all? • On your puzzle journey, you may cross paths with evil Zomblins. Watch out and be careful! == Camp Building == • The evil fog has taken ahold of the main camp, fight off the fog and heal the land to restore and take back the dragons’ home! • Collect dragons eggs, hatch them in the main camp, and earn dragon power to fight off the evil fog. Download now and discover where Merge Dragons! will take you! Merge Dragons! is brought to you by Gram Games, the studio behind the top hit titles 1010!, Merged!, Six!, Bounzy!, Merge Town!, Merge Farm!, Paint Tower!, and Merge Gems! Optimized for Tablets. May be played without an Internet connection. Use of this application is governed by Zynga’s Terms of Service, found at www.zynga.com/legal/terms-of-service. The game is fun and addicting. But don’t get a new phone, you will lose all your progress. I sent the developers an email asking for help.... it’s been over a week and they haven’t responded. Probably going to delete the game because I refuse to start over. I love this game so much but ive recently reached challenge 19. Its IMPOSSIBLE to win it! The only way to win is by buying the dragon and it costs a lot of gems! Im thinking that you shouldve made it easier by adding just 3 caves instead. The reward isnt even fair! Any techniques you try wont work without having the dragon. I love this game. Truly love. Developers just want your money! This game was really addicting at first, but there are a lot of flaws. One, the dragons sleep, there is no timer for each dragon. So it doesn’t matter if the dragons all go into the roost at different times, you have to wait 15 minutes to get one dragon. It takes forever!!! Two, when the dragons emerge from sleep it says that they have 5 actions, before going back to sleep. I was only able to get 1 to 3 actions at a time. Three, the gems are a seriously flawed aspect of this game. One I feel the developers are using purely to make money! The chances of getting gems while playing are extremely rare. Ive been playing for five days and have only recuperated 5. The gems are used to open locked chests, which all the important chests are locked. They are also used for various others things: nests, dragon eggs, buildings, unlocking bonus drops, etc. these all have high gem requirements that are impossible to meet while playing the game. While writing this I currently have over 15 chests that require 125 gems and above. I have 17 gems in the bank. I hope my frustrations don’t stop you from at least giving the game a try, but don’t say I didn’t warn you! After a few days of playing, I’ve come to the conclusion that this game is not worth it! The only problem I have is that the only way to really get dragon gems is to pay a disproportionate amount of money for them. I’ve never been a fan of microtransactions so I’m opposed to that as is, but I think something should be included in-game to acquire more of them.